Absolutely Stunning Home! You could say this is a Split-Level home on steroids! Very open & bright layout with tons of natural lighting. 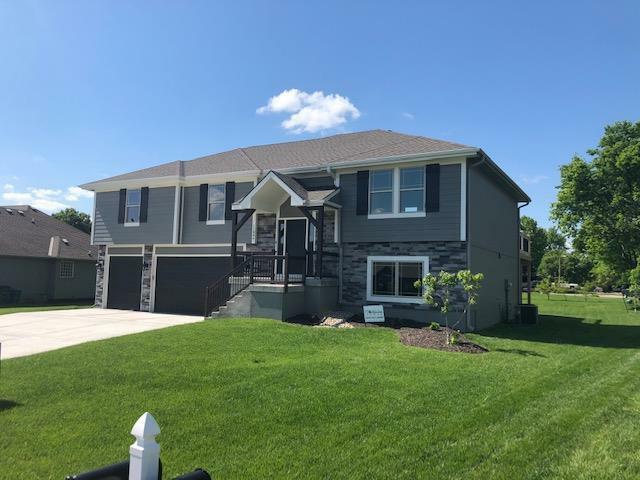 Features custom cabinets, huge island, beautiful granite counter tops, large open Great Room with vaulted ceiling & gas fireplace, hardwood floors, 4 large bedrooms & more! You will love the massive family room on the lower level that walks out to a large patio/cedar deck & huge back yard. Over-sized 3 car garage and nice level front driveway. Outstanding neighborhood with pool. Directions: South on 49/71 Hwy to C Hwy exit at Peculiar. Go south/right on C Hwy to Centennial Street, East on Centennial to home on the left.